Jump Rope competition is serious stuff. Don't believe me? Type in "jump rope competition" on youtube and see 428 results. So, there is a market for this t-shirt! 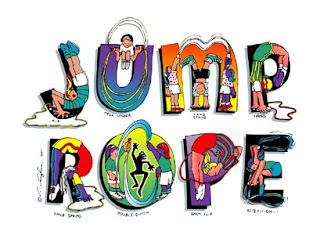 If you want to buy this t-shirt for your entire jump rope team, RockSports will customize it for free. We'll even put individual names on the back of the shirts for $5.00 a piece. You can't beat that with a double dutch, toad. Check out this training guide to learn some jump rope moves?